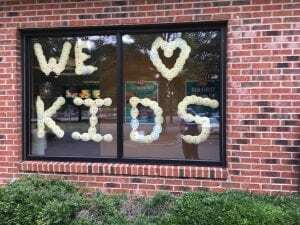 PUBLIX: Publix employees and customers recently wrapped up their 27th annual Miracle Balloon campaign, raising a record $5,655,244 for Children’s Miracle Network Hospitals. 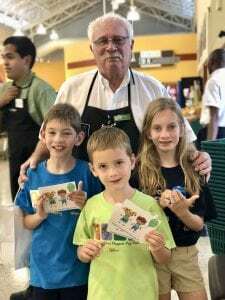 From May 31 to June 16, Publix miracle makers sold CMN Hospitals’ Miracle Balloon coupons at the register to generous customers. The coupons cost $1, $3 and $5 and offered values of $5.50, $10 and $20 respectively on a variety of products with all donations going to a local CMN Hospital. A total of 1,187 Publix stores participated in the fundraiser benefitting 27 member hospitals. Funds raised during the 17-day campaign effort will help hospitals in communities where Publix operates procure life-saving equipment and provide research, education and outreach programs. Nationally, the stores surpassed their fundraising total by 8 percent over 2017. Since 1992, Publix has raised more than $49 million. DAIRY QUEEN: Dairy Queen demonstrates a true understanding of philanthropy through a 34-year partnership with Children’s Miracle Network Hospitals, donating more than $134 million dollars to support sick and injured children. Dairy Queen supports 139 children’s hospital across the US and an additional 12 in Canada. Dairy Queen expects to donate more than $9 million dollars by the end of 2018 to serve the needs of children’s hospitals’ patients. Dairy Queen’s numerous events and in-store promotions make a tremendous impact. Free Cone Day: On the first day of Spring, Dairy Queens give away a free small ice cream cone for donations to Children’s Miracle Network Hospitals. Miracle Balloon Campaign: For eight weeks in the summer, Dairy Queen locations raise funds through an in-store campaign. 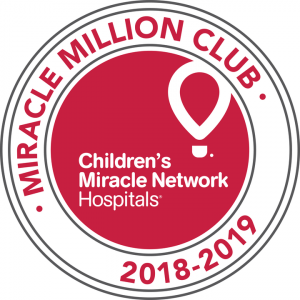 Miracle Treat Day: On Miracle Treat Day (August 2 in the US and August 9 in Canada), Dairy Queen locations will donate $1 or more to their local Children’s Miracle Network Hospital for every Blizzard Treat sold. Employee Giving Campaign: Every March, Dairy Queen inspires passion within their employees to give to their Children’s Miracle Network Hospitals through an employee giving campaign. Special Events: Dairy Queens host event after event to raise money for Children’s Miracle Network Hospitals. Their silent and live auction this year raised more than $300,000 alone. Through Dairy Queen’s support, children’s hospitals are able to provide the care families deserve. From funding capital campaigns to special services, Dairy Queen makes a difference for millions of families who are desperately searching for hope for the future.